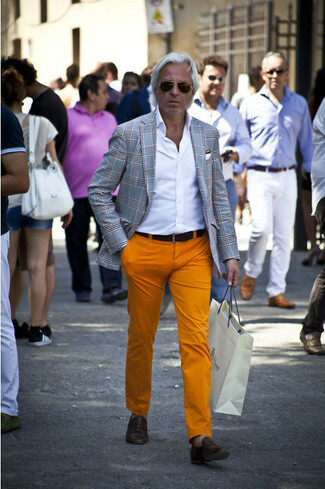 If you're scouting for a casual yet sharp ensemble, wear a tan suit with a Paul Smith multipocket square. Both garments are totally comfortable and will look great together. 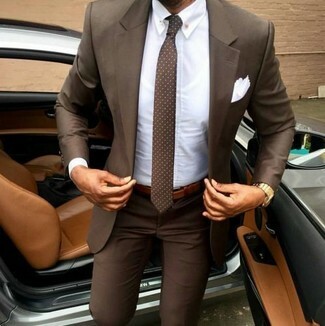 Sporting a pair of brown leather loafers is an easy way to add some flair to your getup. 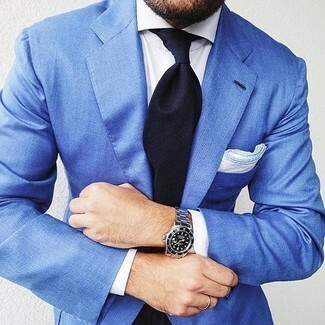 If you're all about relaxed dressing when it comes to your personal style, you'll love this on-trend combo of a blue blazer and a Paul Smith multipocket square from Nordstrom. If you like a more casual approach to dressing up, why not make a brown suit and a Paul Smith multipocket square your outfit choice? If you're a fan of practicality dressing when it comes to fashion, you'll love this on-trend combination of a charcoal wool blazer and a white pocket square. 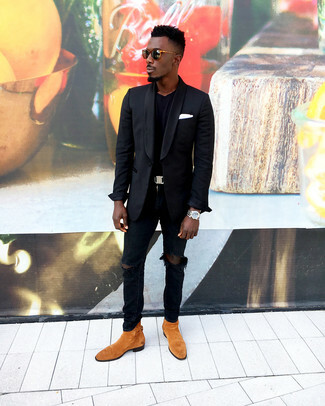 A pair of tobacco leather brogue boots adds some real flair to this look. 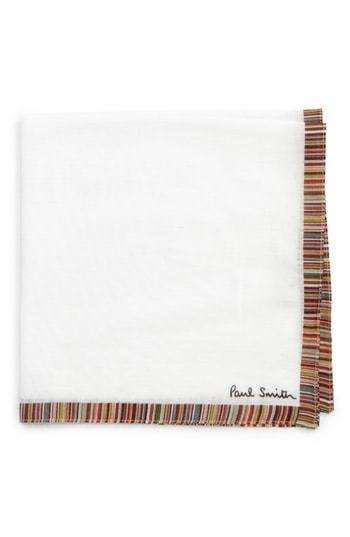 Marry a black blazer with a Paul Smith Multipocket Square from Nordstrom for comfort dressing from head to toe. Play down the casualness of your outfit with tobacco suede chelsea boots. If you prefer relaxed dressing when it comes to fashion, you'll love this on-trend pairing of a grey plaid blazer and a white pocket square. Dress up your look with brown leather loafers. If you're a fan of functionality dressing when it comes to fashion, you'll love this simple pairing of a dark green plaid blazer and a white pocket square. You could perhaps get a little creative in the footwear department and dress up your getup with black leather brogues. 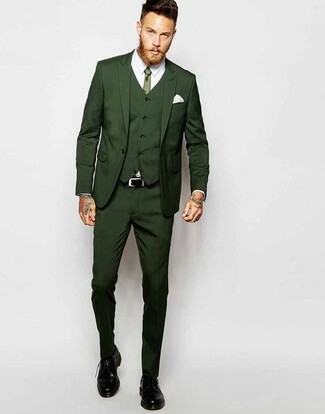 If you're looking for a casual yet stylish getup, make an olive three piece suit and a Paul Smith multipocket square from Nordstrom your outfit choice. Both garments are totally comfortable and will look great together. You could perhaps get a little creative in the shoe department and lift up your outfit with black leather derby shoes. 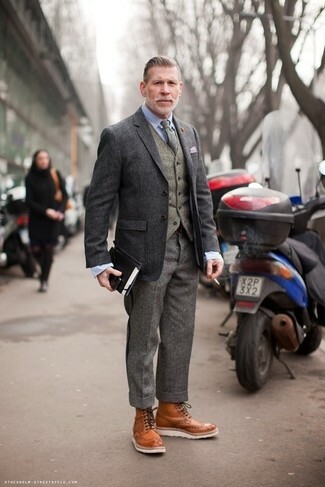 Wear a white tweed blazer and a white pocket square, if you feel like practicality dressing without looking like a slob.